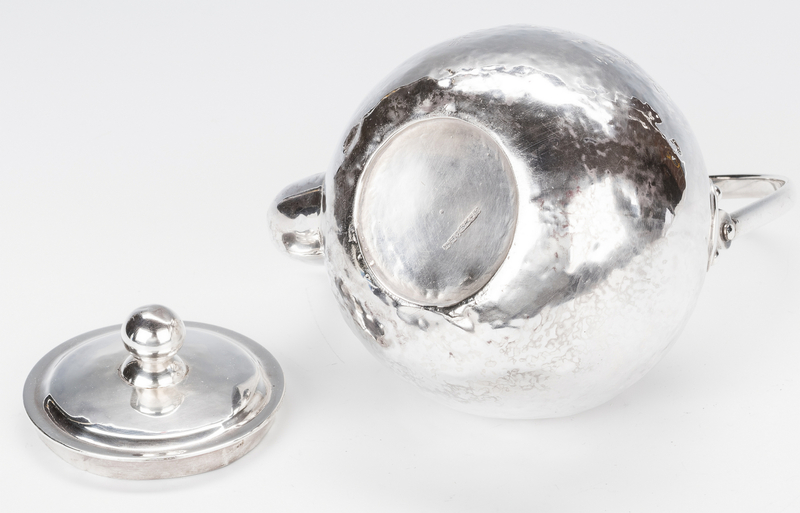 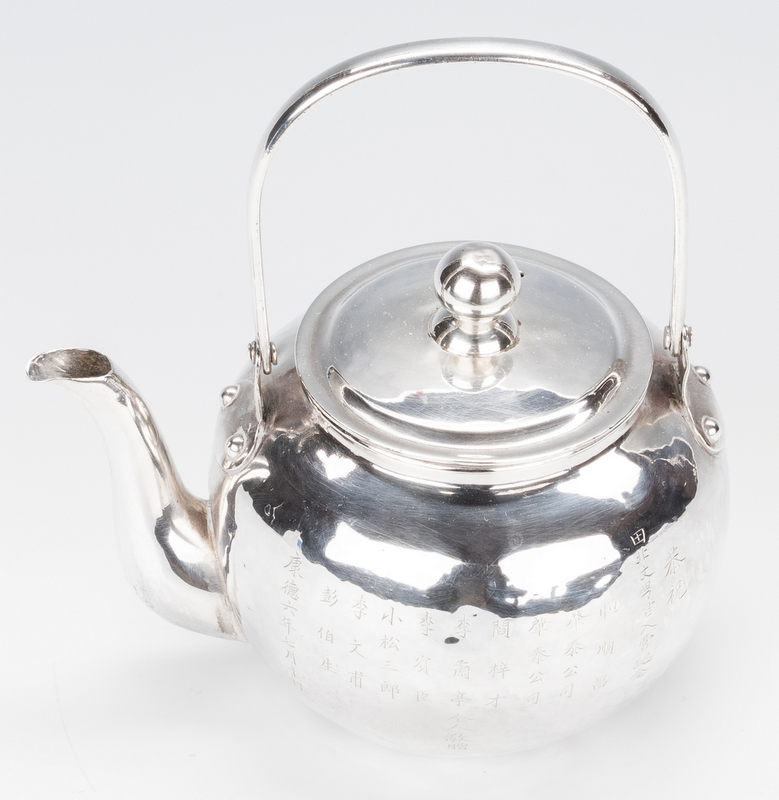 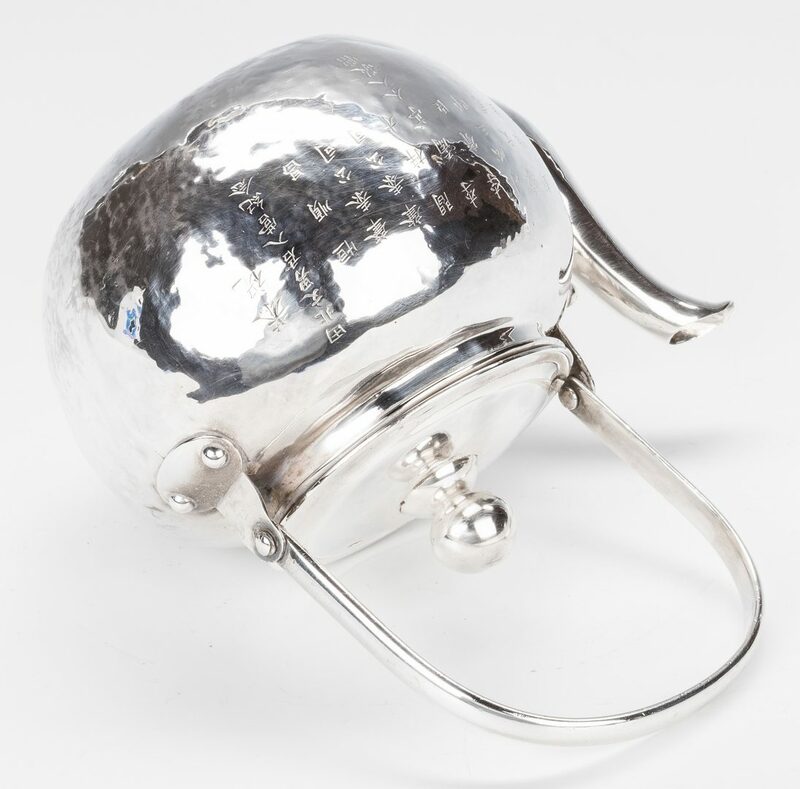 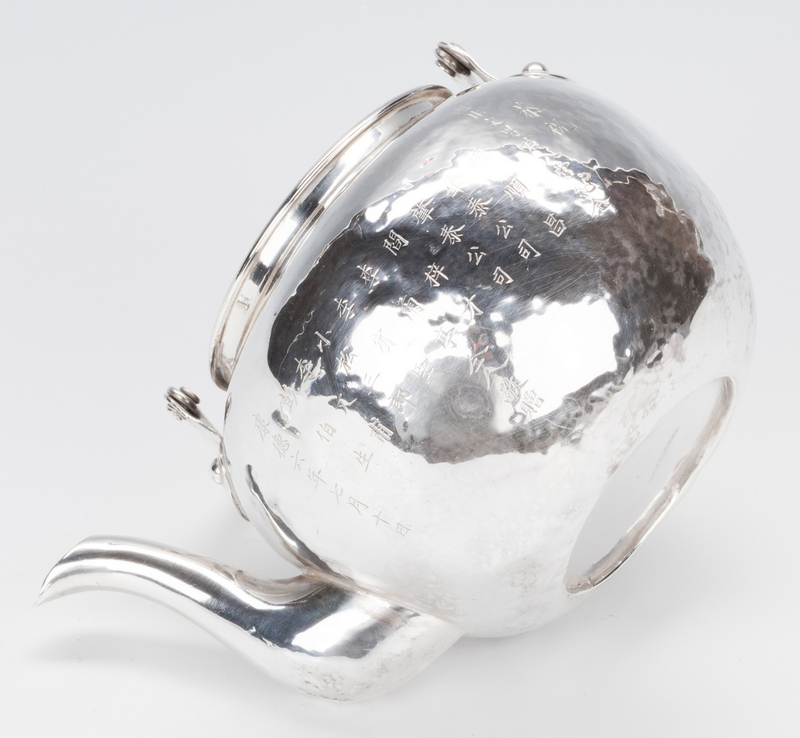 Lot 39: Chinese Export Silver Teapot w/Inscription. 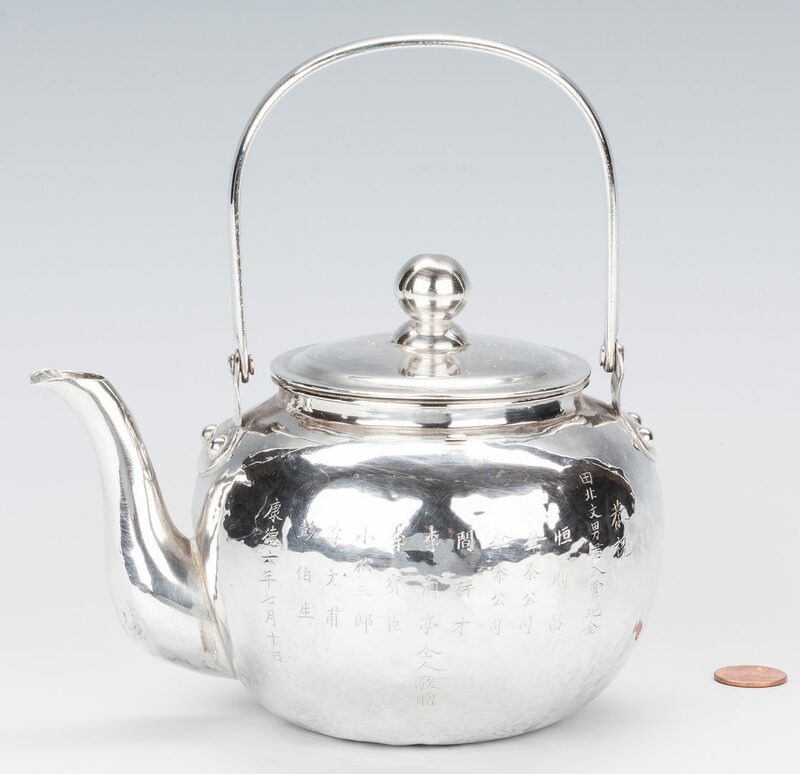 You are here: Home >> January 27, 2018 Historic Winter Auction >> Lot 39: Chinese Export Silver Teapot w/Inscription. 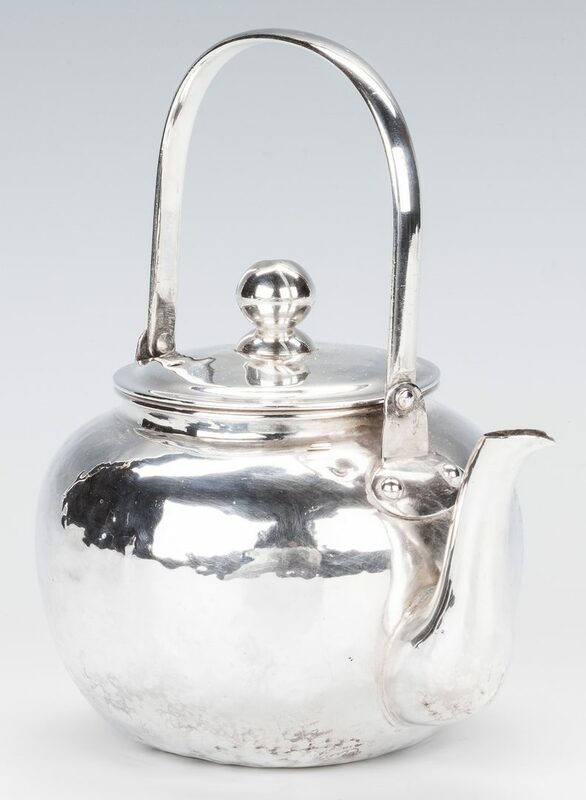 Chinese Silver Teapot with calligraphy presentation inscription, round form with bail handle, riveted and seamed construction with hammered surface. 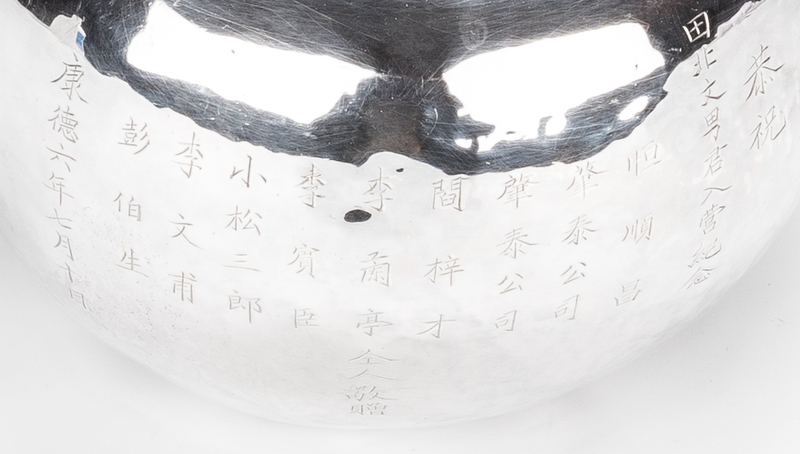 Chinese hallmarks to underside. 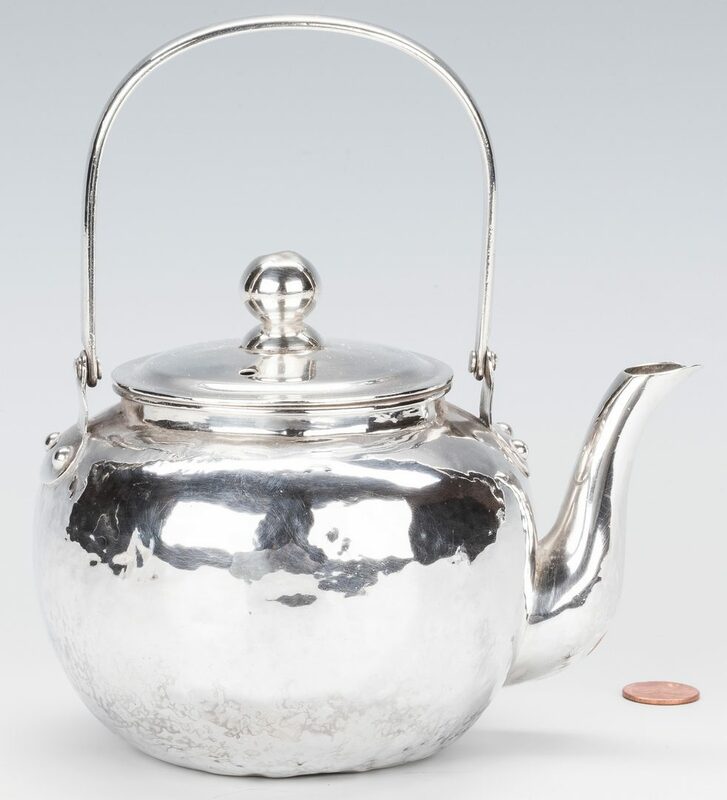 6 3/4" H, 9.845 oz troy. 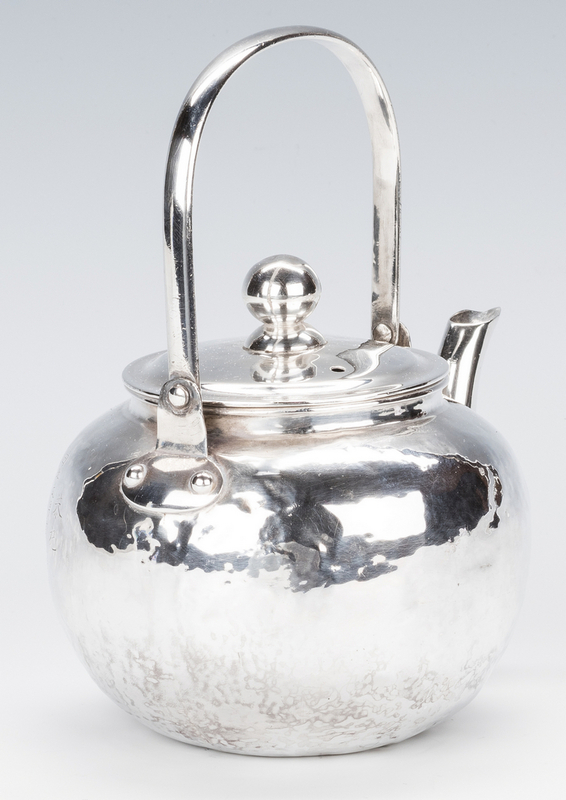 Probably late 19th to early 20th century. 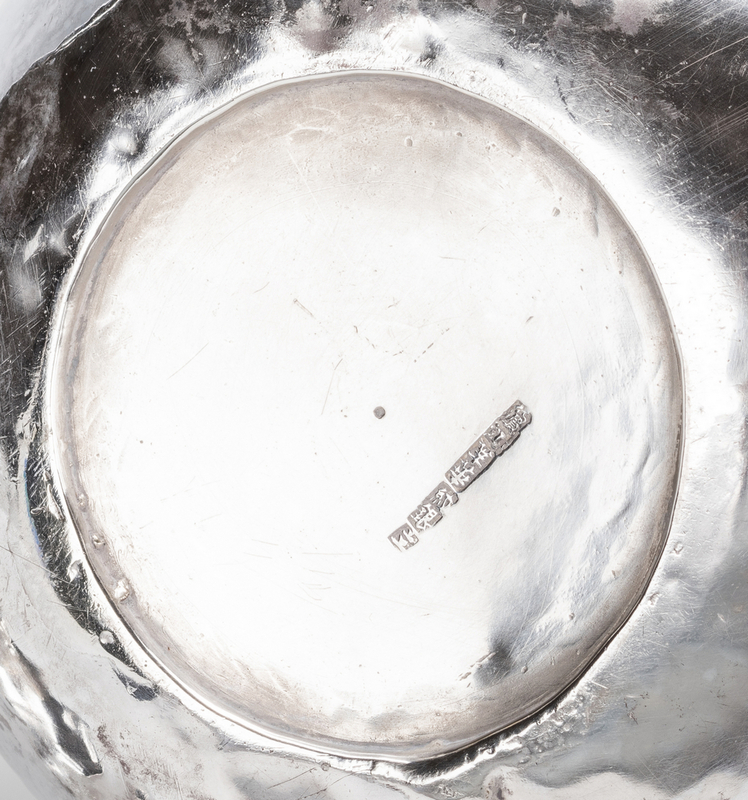 CONDITION: Scattered small surface dents, possible old repair to side below handle.